Recently, it seems like no matter what I try, my skin stays dry, dry, DRY. We're talking drier than the Sahara here -- scaly, patchy, flaky, you name it. And I know the temperatures of -29 a couple weeks ago weren't helping (SO not happy those are coming back this week), but COME ON. I'm getting pretty sick of my cheeks not feeling baby soft! 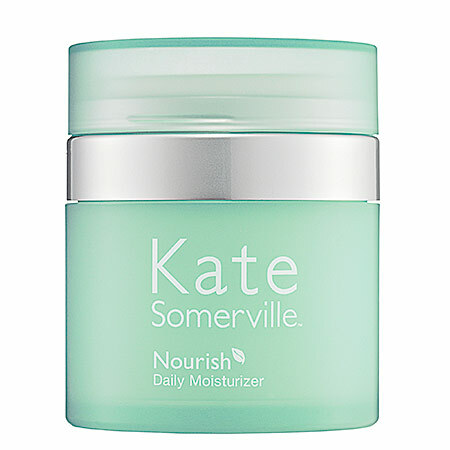 Well, thankfully I discovered Kate Somerville Nourish Daily Moisturizer ... and now all is right in my skincare world once again. But what I really love is that it's not greasy or heavy and sinks into skin immediately upon contact. And, of course, my face no longer has that horrible scaly texture -- nothing but smoothness as far as the eye can see (or the hand can feel, as the case may be). 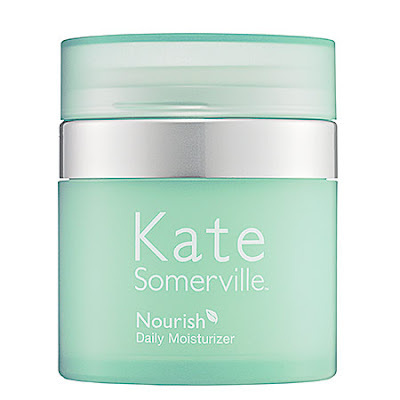 Kate Somerville Nourish Daily Moisturizer retails for $65 at katesomerville.com.